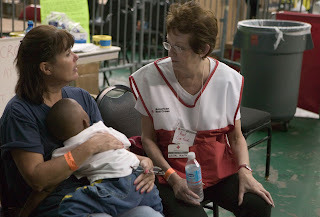 In the spring of 2017, just prior to hurricane Harvey, the Brevard County, Emergency Management Services, in cooperation with VOAD (Volunteer Organizations Active in Disaster, Brevard), and the American Red Cross acknowledged it would be of benefit to have Chaplains or Spiritual Support Counselors in emergency shelters to provide counseling to the occupants. These counselors would speak with the residents, then link the clients with a permanent faith-based organization of their choice, near them in their community. Hence, this survey. Read more and take the survey.